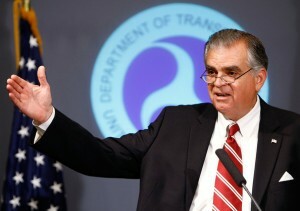 Ray LaHood urges transparency in airline ticket pricing along with the Consumer Travel Alliance, the National Consumers League, and the Business Travel Coalition. Consumer and travel groups including the Consumer Travel Alliance, the National Consumers League, and the Business Travel Coalition met with U.S. Secretary of Transportation Ray LaHood yesterday to offer their support for his efforts to require transparency in airline ticket pricing. Participants in the meeting presented Secretary LaHood with a letter from organizations representing more than 300 U.S. and Europe consumer groups urging the mandatory disclosure of all airline fees. “Rather than calling for regulation of the amount of these fees, we are simply asking for true fee transparency. Hidden fees are a violation of a traveler’s most basic right: to know how much they will have to pay for their trip. When two out of every three air travelers say they have been surprised by hidden fees at the airport, you know the current system is broken and needs to be fixed. “Airlines should have to share their fees with every traveler, through every ticketing channel in which they participate, to every point of sale. With the airline world of fees so complex with so many variations on each fee, this is the only way consumers can compare prices on the total cost of travel. In addition to Leocha, participants in the meeting included Sally Greenberg, Executive Director of the National Consumers League; Kevin Mitchell, Chairman of the Business Travel Coalition; Karoline Mayr, Director of Global Travel Procurement for Deltek, Inc.; and Anjum Malik, an airline consumer. Joining the U.S. consumer groups that signed the letter was the European Passengers’ Federation. The full text of the letter can be found on the website for the Consumer Travel Alliance here.